In general, COIN probes are cashier robots used to ring in purchases by customers. All run on solar power, with a battery lasting no longer then 6 hours. As time goes by, the battery's life decreases which would require a replacement. Only their eyes come in a variety of colors. They have a storage compartment inside their bodies, which is used to store massive amounts of money and checks. It would be revealed when they open the door on their torso area. 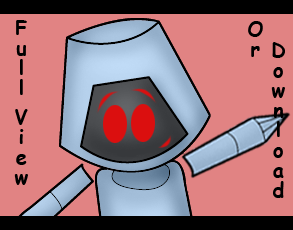 A unique feature of these robots is they they can express an array of emotions to make them appealing to customers, though their personalities may vary. Their default language is english, but they can also speak in robot. They are upgradeable, even for minor adjustments. They all have the ability to fly.